Despite my penchant for spending money I haven't got, on clothes I don't need, I've always had a tendency to not have classic wardrobe staples in my collection. I'll blame it on my obsession with over the top vintage pieces and all things fabulous. However, I FINALLY have a classic leather biker jacket! Thanks, Superdry. You may or may not have seen my post here, where I attended Superdry's in-store event for Vogue's Fashion Night Out, so you might already know how much of a fan of the brand I've become. I've worn this premium, leather biker jacket (available here) almost every day since I received it last month. 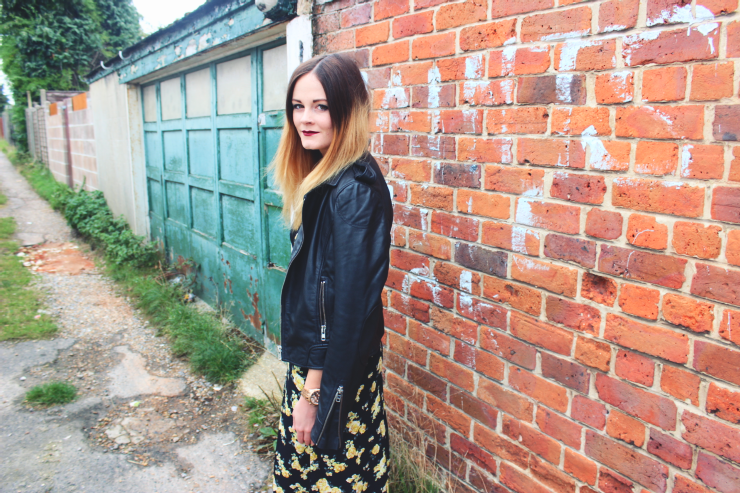 I don't know how I survived previous Autumn seasons without a staple, black, leather biker as it's so easy to throw on and toughens up any outfit. It just so happens to go together like beans and toast (mmmmm!) 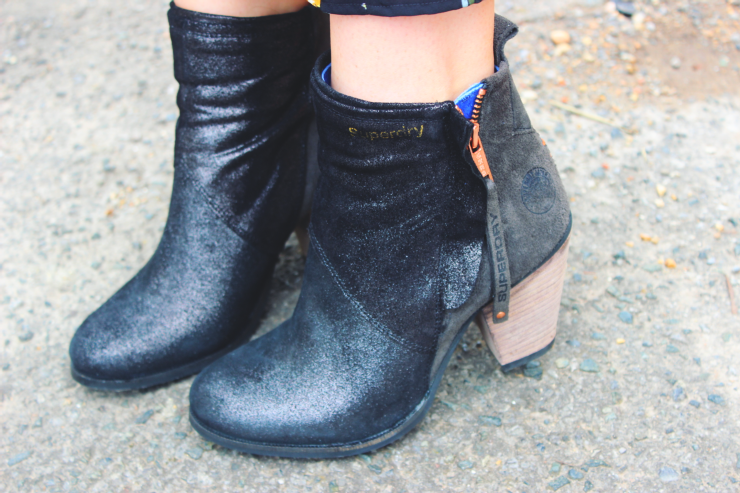 with my Gun Metal Dillanger ankle boots, which have a wonderous shimmer effect on the front panel of leather! Since moving back to London, I've been more formally introduced to Forever 21. There just so happens to be one conveniently placed on my commute journey back from work, so I'll pop by several nights a week or so. Oops. I can't say I feel that guilty though as everything is just so cheap. 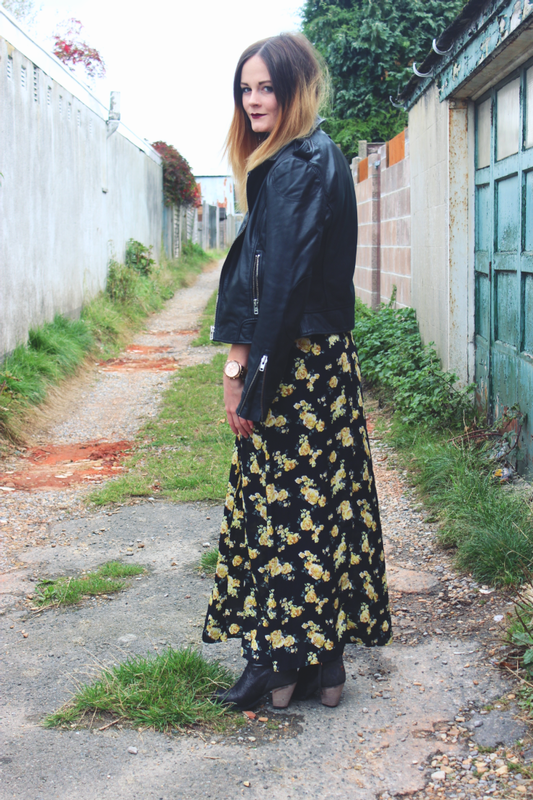 For example, this floral maxi dress cost me under £12! Bar-gain. Such a gorgeous outfit, wow! 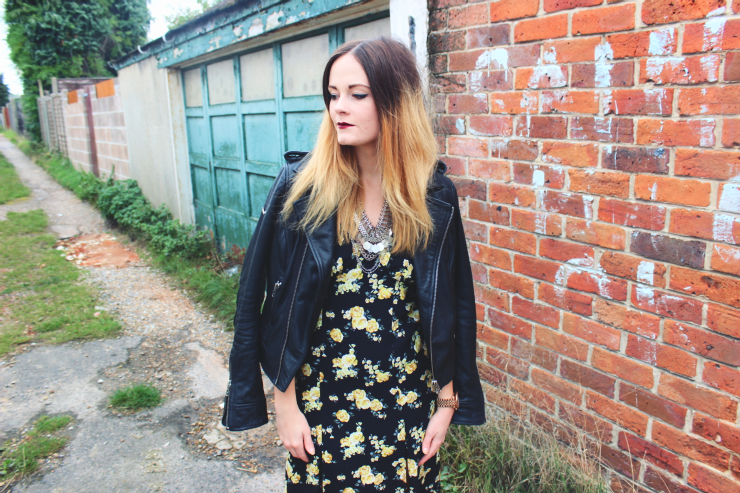 The dress really suits the leather jacket, You look amazing!